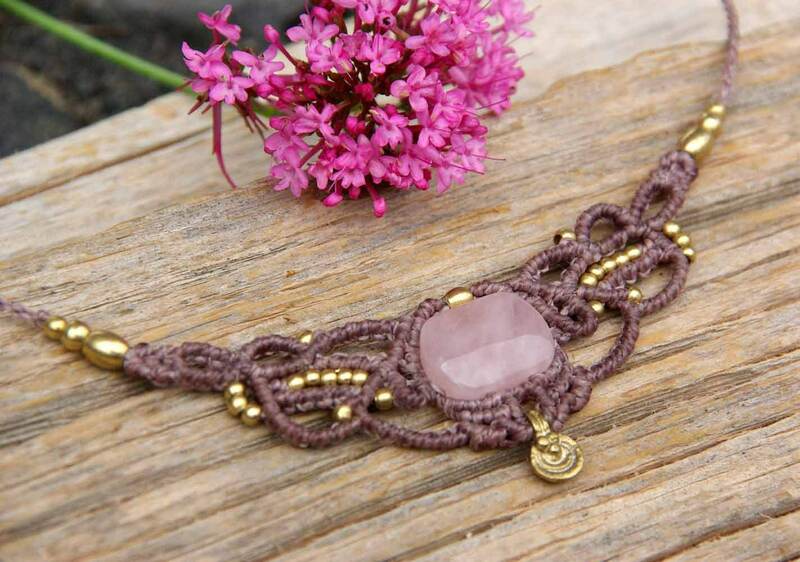 Delicate macramé design, combining a ROSE QUARTZ with brass beads. 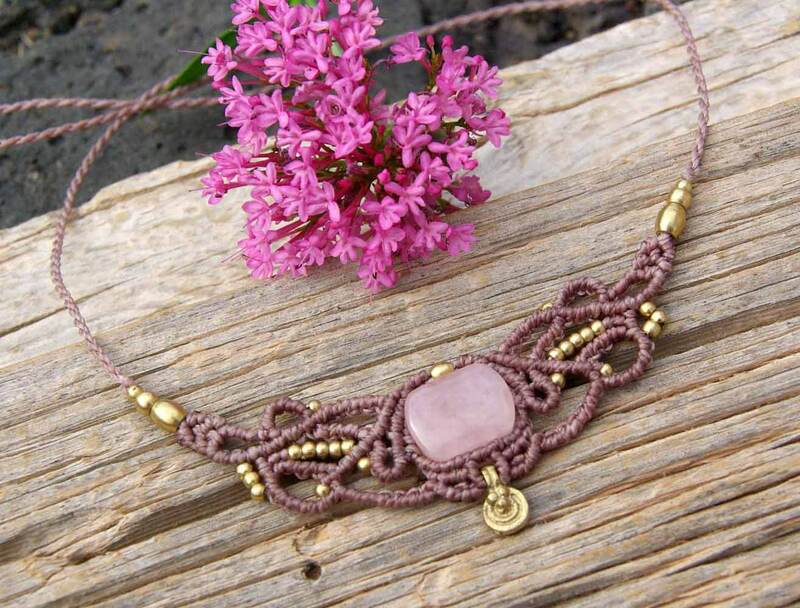 This necklace is totally handmade combining different knots with precision and quality. The thread is pink stick so it matches everything. 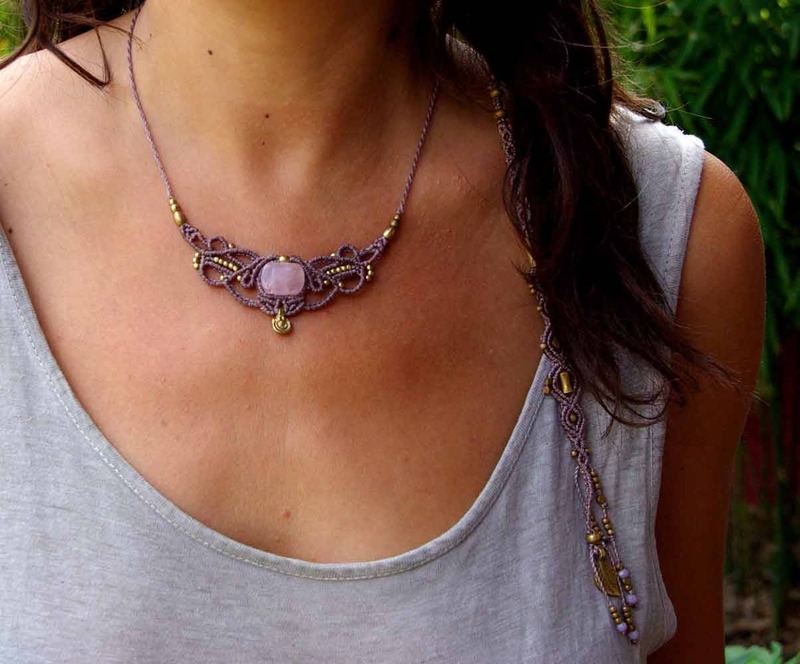 The necklace closes a sliding knot so it can be adjusted in height. 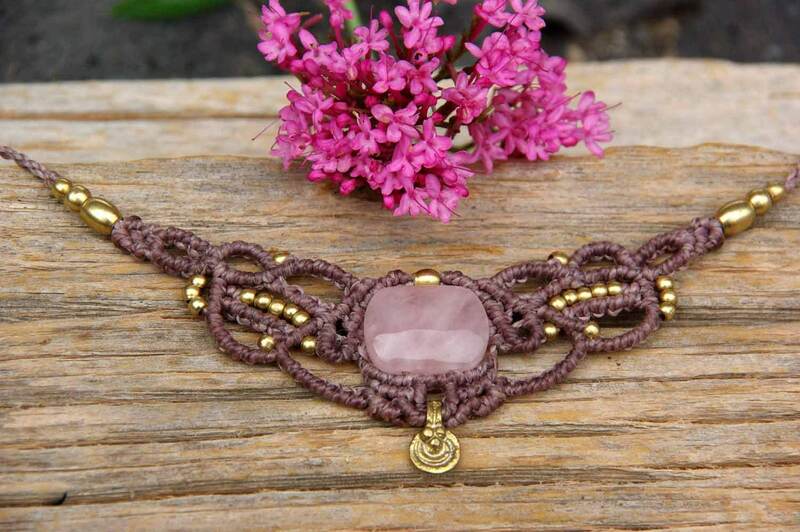 This design looks good at all heights, or stuck to the neck as a choker or low, near the sternum. You can also use it as a tiara. The brass balls are of the 1st quality. 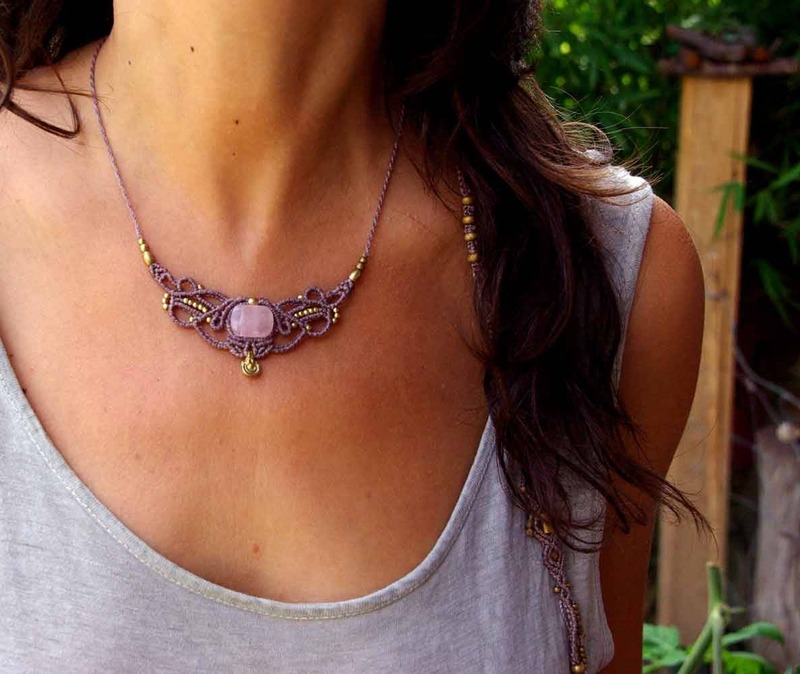 The necklace can get wet, although it is recommended to dry it later and never keep it wet. The brass it´s nickel free and it can be cleaned with lemon juice. 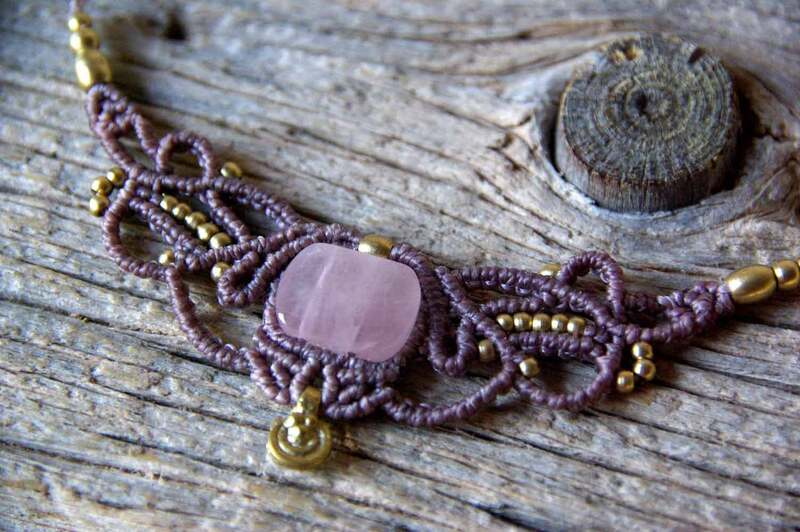 The inspiration for our jewelry is born from the special stones we use, magical gifts from Mother Earth. 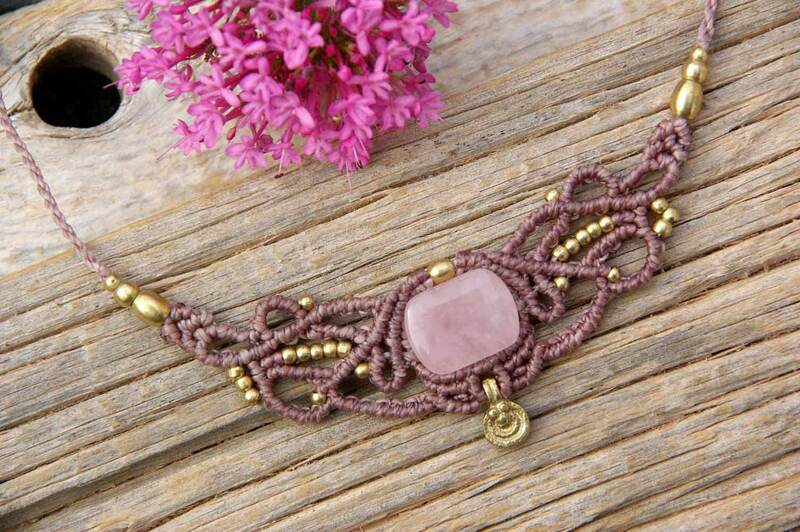 In this case the stone is a ROSE QUARTZ. 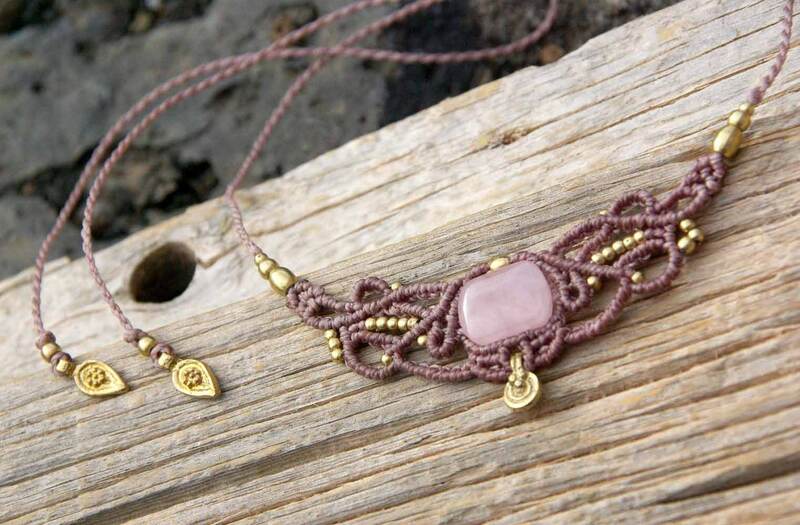 For the realization of our pieces, we use Brazilian wire of first quality. 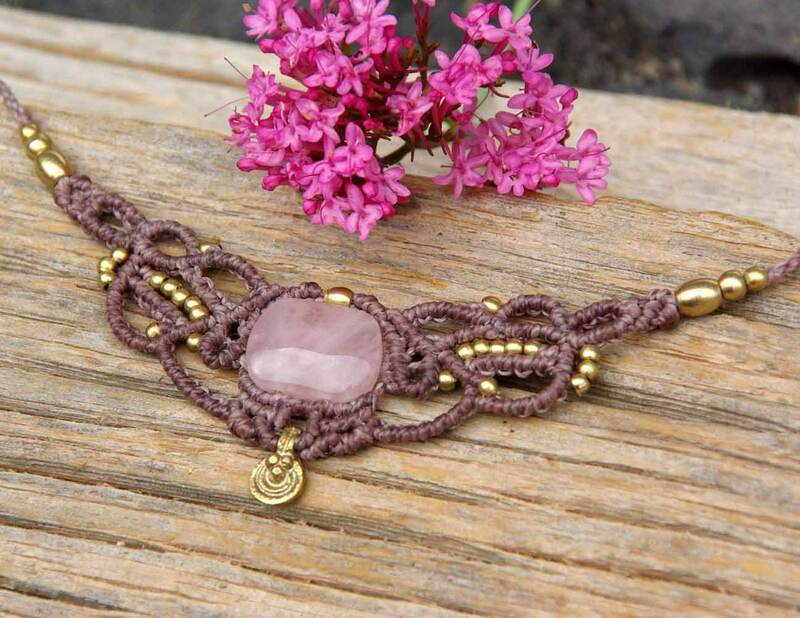 The waxed thread is ideal for jewelry making because it is water resistant and feels very organic when it comes in contact with the skin.